Our journey started out on a Friday afternoon where we headed out from Kellogg, Idaho on a mission to visit three different hot springs over the weekend. Our first day we had a late start and drove over to Lolo Hot Springs for the night. It was fun place to visit but we were only there for a short time since we arrived later in the day. Kettle House Brewing, Missoula, Montana. Early the next morning we headed to Missoula to visit a couple breweries in town there. We popped by Kettle ouse Brewing and Tamarack Brewing. Both the breweries were incredible. Some of the beers are only available in Montana which I really enjoyed. Seeking out those new beers to try is a blast. #86sqft in its natural habitat. The start of our third day was a chilly one. I spent the night in the bed of my truck. It was a great reminder that I need to add some insulation to the bed to keep it a little warmer now that the colder months are back again. 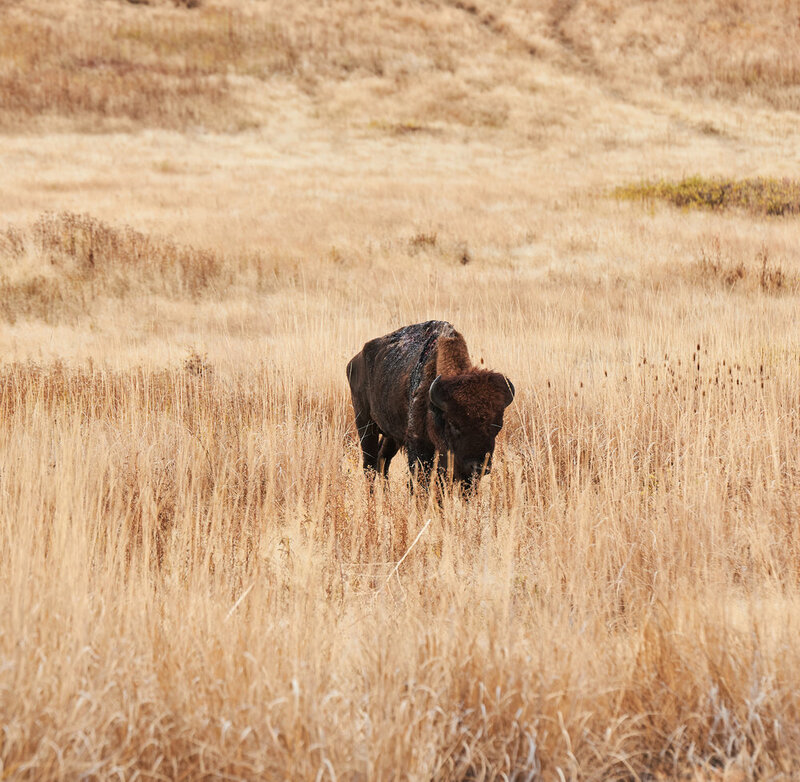 We warmed up our vehicles and hit the road to the National Bison Range. After driving for about an hour to get there we decided to take the longer two hour loop through the Bison Range. Which was well worth it. It was foggy and dark for the beginning of the drive. Slowly but surely as we drove the sun was making the fog burn off. By the time we reached the peak and began to head back down the other side the clouds broke. Road side snacks in the Bison Range. As we descended back down the mountain we could see some of the bison off in the distance. Just a little too far away to get a photo of. Towards the end of the drive there was a great spot wide open spot that looked towards the mountains. There was about 20 bison in the field in front of us. Luckily one was just close enough for my 200mm lens to get a shot. Unfortunately the one nearest to us wasn’t looking too great. As you can see in the photo below. Before this quick trip I had never heard of the National Bison Range. I am beyond happy my friends showed me this place. It is truly gorgeous. I’m looking forward to making a trip back there and back into Big Sky Country.